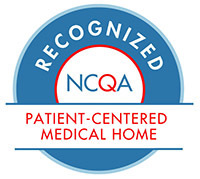 Both Peoples Clinic locations in Waterloo and Clarksville are recognized as Patient-Centered Medical Homes through the National Committee for Quality Assurance (NCQA). We’re Patient-Centered: A partnership among health care providers, patients, and their families ensures that decisions respect patients’ wants, needs, and preferences, and that patients have the education and support they need to make decisions and participate in their own care. Our Care is Comprehensive: A team of care providers is wholly accountable for a patient’s physical and mental health care needs, including prevention and wellness, acute care, and chronic care. Our Support is Coordinated: Care is organized across all elements of the broader health care system, including specialty care, hospitals, home health care, community services and supports. Our Services are Accessible: Patients are able to access services with shorter waiting times, “after hours” care, 24/7 electronic or telephone access, and strong communication through health IT innovations. We’re Committed to Quality and Safety: Health care providers and staff enhance quality improvement to ensure that patients and families make informed decisions about their health. Our goal is to provide a centralized setting that facilitates partnerships between individual patients, and their personal doctors, and when appropriate, the patient’s family. Care is facilitated to assure that patients get the indicated care when and where they need and want it.